• From the same doofuses who brought you Twins Daily comes a new Minnesota sports website on which you can kill countless hours while at work: Vikings Journal. • Shocked and appalled that Gleeman-Bonnes didn't make the New York Times' extensive "Twitter power couples" list. • Twins fans know all too well that there's no such thing as "just a concussion," but based on how ugly his outfield collision looked Wednesday things could've been much worse for Byron Buxton. • I like to imagine Idris Elba staying awake all night agonizing over whether to correct this story. • Adam Dunn vs. Dee Gordon vs. Koji Uehara vs. Bartolo Colon in the silliest league ever. • Kate Upton is the new Elaine Benes, apparently. 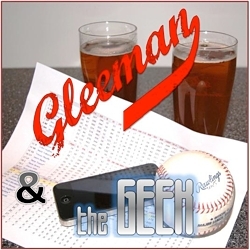 • On this week's "Gleeman and The Geek" episode we broke down Kevin Correia's departure and Trevor May's arrival, plus how to properly buy a car and why everyone should own a penthouse. There was a shorter, more polished version of that video, but it's been taken off YouTube and, honestly, the world should see the full 12 minutes of pure magic. • Hard-hitting journalism: "We asked Gassen the question Lindsay Guentzel was afraid to know the answer to." • Joe Nathan got booed at home in Detroit by Tigers fans and made a chin-flick gesture at them, so he apologized. 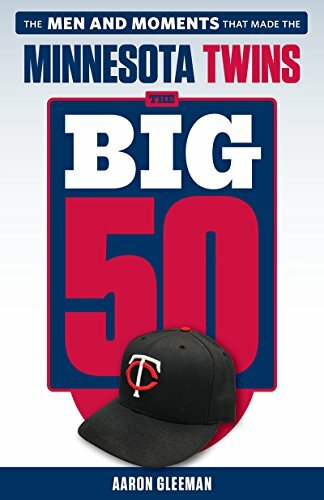 • Did the Twins accomplish anything by purging a bunch of veterans from the roster around the trade deadline? • I move from Hopkins to Uptown and now Hopkins is a "hipster haven"? Puh-leeze. • My uncle and cousin were again the subjects of a lengthy article in the Minnetonka Sun Sailor, which may have simply decided to cover stuff that's sure to be linked here at this point. • Next month Target Field is hosting a "Light the Night Walk" charity event to raise money for the Leukemia and Lymphoma Society. If you're interested in making a donation, consider sponsoring my friends on Team Minnie Mouse. • Phil Hanley was a good guest on what remains my favorite podcast, "Stop Podcasting Yourself" with Graham Clark and Dave Shumka. • Adam Carolla and Dr. Drew are both basically the worst now, but lately I've been going to sleep listening to old "Loveline" episodes and it makes me happy. • One of my favorite stand-up comedians, Jen Kirkman, is coming to Acme Comedy Company in Minneapolis next month and everyone should get tickets. - "Jon Taffer hair transplant"